The 57th International Art Exhibition, ‘Viva Arte Viva’, organised by La Biennale di Venezia opens to the public tomorrow until 26th November, a seminal art event which has been making the careers of contemporary artists since its inception in 1895. At the notorious British Pavilion in 1952, which inspired the term ‘Geometry of fear’, Graham Sutherland was hailed as ‘the outstanding English painter of his generation’. 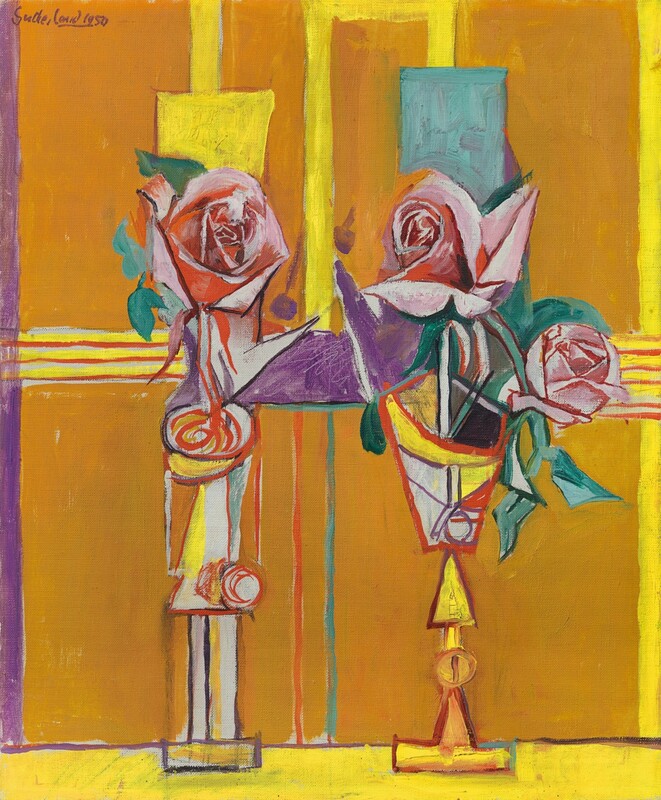 Sutherland’s Roses III, 1950, was included in the display, subverting expectations of the anxious angularity of spiky thorns and twisted roots, introducing a softer, more positive note within the artist’s iconography of anthropomorphic forms.